Hazel is Indian, adopted as a baby by a white American family, and living in Minnesota. Her father has left and is starting a new family somewhere else. Hazel’s mom can no longer afford to keep her in the progressive private school she attended, so now she is in 5th grade at the local public school. This is hard for Hazel. She is a square peg, a dreamer and a reader who struggles to fit in. The only good thing in her life right now, as she sees it, is her best friend and next door neighbor Jack. They are as close as 2 friends can be, sharing wildly imaginative adventures, playing games they’ve created (like Superhero Baseball), and supporting each other during tough times. Jack’s life isn’t easy, either. His mom has retreated into what seems to be serious depression and mental illness. He escapes his house with Hazel and retreats into the woods nearby to play and imagine. But their friendship is changing. Now that Jack and Hazel attend the same school, Jack has to split his time between her and his jealous male friends. Hazel’s mom tries to encourage her to make friends with other girls, sensing that the shift between boys and girls at Hazel’s age is coming soon. Hazel refuses to lose faith in Jack, even when one day a mysterious shard of glass lands in Jack’s eye and he changes. He becomes “mean” and retreats from Hazel, and then one day he disappears completely. Hazel knows that she is the only one who can find him, save him, because she is his truest friend. And that’s when this book shifts into a magical, full-on retelling of The Snow Queen. We’ve spent so much of the book establishing this friendship, establishing Hazel’s unwavering faith in Jack, piecing together the stuff this young girl is made of through delicious references to other children’s books, that when she sets off into the woods to save Jack from the white witch who took him we are on board completely. I never doubted the fantasy or her ability to make it through. The Newberys are announced next Monday, and this title has been getting a lot of attention from various blogs as a contender. Maybe not the one to beat the favored Gary D. Schmidt’s Okay for Now, but definitely an Honor possibility at least. I would happily throw my hat into the ring with this one, I think it’s fabulous. It is full of the dark corners and fears of real childhood, and it is scary in the way proper fairy tales should be. I love a story of the princess saving the knight, and I love a quiet ending that leaves the future unclear. 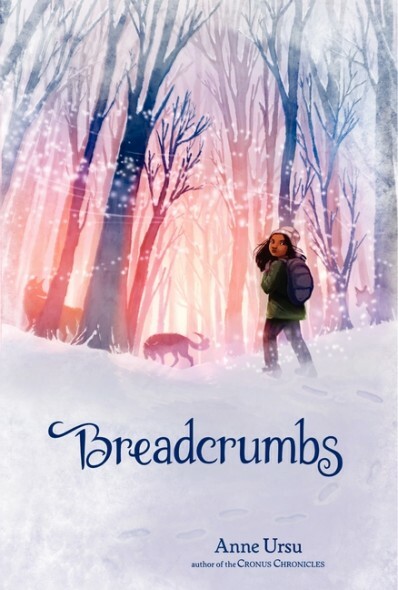 I especially loved all of the kidlit references in this book, it’s like a scavenger hunt of beloved titles even including the 2010 Newbery medalist When You Reach Me (which I also adored). It’s just such great stuff.